While a regime change is on cards it is still unclear if a civilian government will be an immediate option, adding further uncertainty to the weak economy. Large macroeconomic imbalances have persisted since the July 2011 secession of South Sudan, which led to the loss of about 80 per cent of Sudan’s oil production, 60 per cent of fiscal revenues, and more than half of foreign exchange earnings, according to Institute of International Finance (IIF). With the loss of oil revenue, the government monetised the deficit [government prints money in order to pay its deficits], causing inflation to spiral and reserves to dwindle as the central bank maintained an overvalued exchange rate peg. “Growth in Sudan has been low for years due to political upheaval, limited diversification, economic mismanagement, rampant corruption, and US sanctions. Sudan had been a major oil producer from 2000-2011, but most production was concentrated in areas that became part of South Sudan in early 2012, and production at remaining sites has stagnated and even declined in recent years,” said Jonah Rosenthal, Associate Economist at the IIF in a recent note. Sudan’s economy has been facing limited access to foreign currency, and purchasing power severely eroded by skyrocketing inflation. “We estimate that real GDP contracted by 1.1 per cent in 2018, dragged down by a drop in private consumption of nearly 5 per cent. 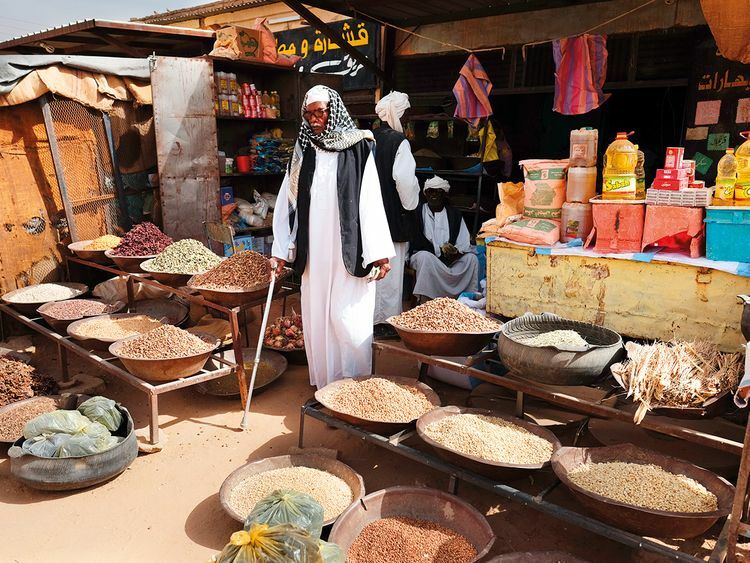 Mismanagement of the economy along with civil war and US sanctions has caused Sudan to stagnate versus peers in Sub-Saharan Africa, who have made greater and steadier progress raising living standards,” said Garbis Iradian, Chief Economist Middle East and North Africa, IIF. It is still unclear if a civilian government will be an immediate option, adding further uncertainty to the weak economy. With the political uncertainty looming, economic recovery is expected to be a moving target for Sudan. IIF economists said while domestic demand is likely to stay hampered by fiscal consolidation, there is scope for exports to pick up given the recent sharp depreciation of the pound. Output is likely to slightly contract in 2019 and then grow by 2.3 per cent in 2020, driven by investment and net exports. However, with a large and young population, this modest rate will not be enough to dent inequality and unemployment. The authorities’ practice of monetising the fiscal deficit led to rapid growth in the money supply (over 60 per cent year-on-year in both 2017 and 2018), leading to similarly rapid inflation. In the near term, inflation is likely to remain high, amplified by the sharp depreciation of the Sudanese pound. Lack of credible data is a huge challenge for economists and analysts in assessing the true shape of the economy. “While on-budget central government fiscal deficits have ranged from 1 to 3 per cent of GDP in recent years, the true figures are likely higher after accounting for transfers to local governments and quasi-fiscal activity by the central bank to provide foreign exchange for imports of fuel and wheat. Yet even the central government figures show that impaired revenue mobilisation has widened deficits and put public debt on an unsustainable path,” said Iradian. The debt-to-GDP ratio rose to over 140 per cent in 2018 largely due to the sharp depreciation of the Sudanese pound in October 2018, as 90 per cent of the public debt is denominated in dollars. The government is working to implement fiscal consolidation, including by reorienting spending and withdrawing inefficient subsidies. The central bank gradually allowed the Sudanese pound to depreciate against the dollar since 2012, but not to fully off-set domestic inflation. In practice, the government imposed strict restrictions on access to foreign exchange at this rate. The central bank ultimately opted in October 2018 to hike the exchange rate to 47.5 pounds/USD, aiming to stamp out the parallel market and acknowledge market realities. While adjusting the exchange rate was economically defensible, it caused sky-high inflation to rise even higher in the last few months of 2018. The official rate has since remained un-changed, and the central bank abruptly suspended its rate-setting mechanism in late March without explanation. As a result, the parallel market continues to operate with a wide spread. Sudan continues to struggle with weakness in the balance of payments. It has run consistently large current account deficits following the secession of South Sudan and ensuing loss of about 75 per cent of the combined oil production; exports in Sudan itself now are dominated by gold.